Bring it all along as you embark on life’s journeys in style with the new 2018 Toyota RAV4 Hybrid. Providing you with an opportunity for power and efficiency, this breathtaking beauty comes with four-doors and seating for up to five. Available trim levels include the LE+, SE and the Limited. 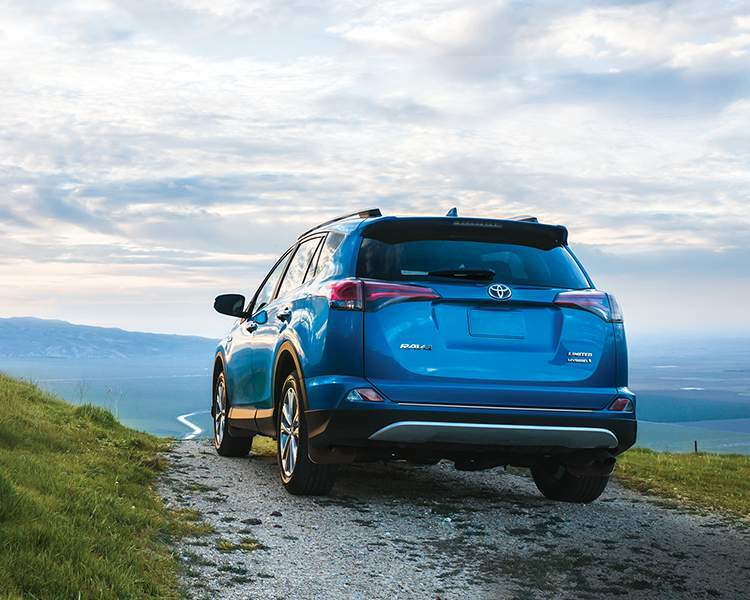 Take on the open road in the 2018 Toyota RAV4 Hybrid as you experience the modern comfort of the interior. Refinement is displayed through the illuminated entry as well as through the available chrome inner door handles. Utilize the convenience of push-button start as you keep your keys in your pocket or purse and engage in effortless driving. Supportive by nature, the 8-way power adjustable driver’s seat provides customized comfort. Relax on the optional SoftTex leather seating surfaces with heated front seats as you combat cold weather with ease. 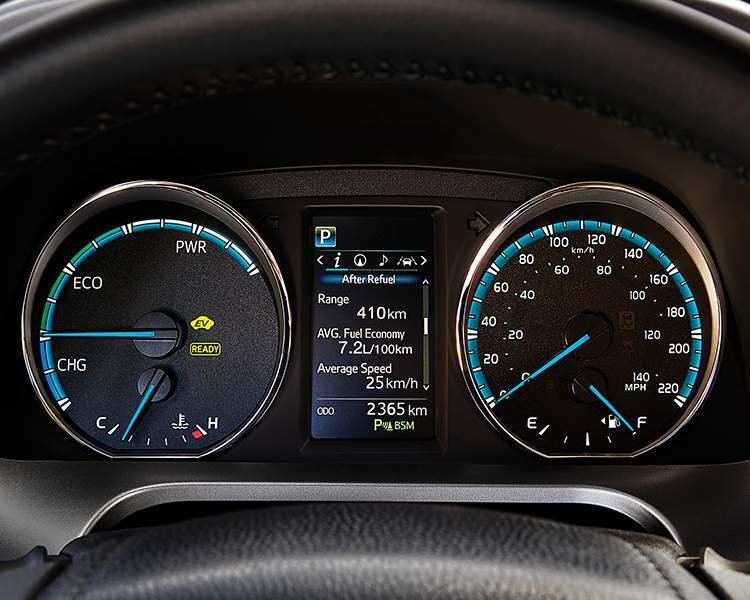 Furthering your ability to control your climate is the dual-zone automatic climate control system as it allows you to set and maintain two different front temperatures at the same time. Grip the available 3-spoke leather wrapped and heated steering wheel with its mounted audio, Bluetooth, and voice recognition controls as you engage with your settings without compromising your focus on the road. 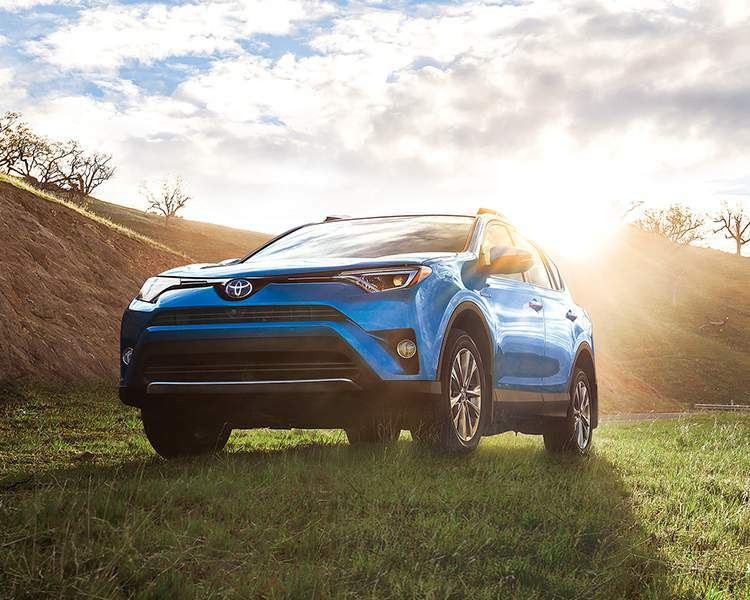 Elevate your advantage in the 2018 Toyota RAV4 Hybrid as it presents a sporty exterior design that is rich in aerodynamics and style. Details such as the chrome accented window frame mouldings and silver painted roof rails add a touch of glamour to your aesthetics while the available LED headlamps; LED daytime running lights, fog lamps and LED rear tail lamps ensure you can see and are seen in a range of outdoor conditions. Open up to the great outdoors with the optional power moonroof, making each journey a scenic one. Keeping you engaged with what is most important, the 2018 Toyota RAV4 Hybrid is rich in technological features. Take advantage of the available 7-inch Display Audio System as you connect to your compatible devices through Bluetooth capability and voice recognition. Finding your way is a breeze when you opt-in for the available navigation system, presenting you with turn-by-turn directions to a variety of destinations. Maintain a sense of individualism when you drive the 2018 Toyota RAV4 Hybrid as you customise it to your liking through the available Toyota Parts and Accessories. With the addition of a hood deflector, you are able to enhance style and protection, while the pro series paint protection film offers protection from weathering and debris. It’s no wonder the 2018 Toyota RAV4 Hybrid has got people talking. As it embraces Toyota’s Hybrid Synergy Drive System, the RAV4 delivers extraordinary power and control while consuming less fuel. Take advantage of regenerative braking, a system that captures power generation through braking and utilizes it to charge the vehicle’s battery. Responsive and fluid agility is provided through the Continuously Variable Transmission as you engage with the added control of All Wheel Drive with Intelligence. Set out for your next adventure in style with the 2018 Toyota RAV4 Hybrid. Through an innovative design, you are given capability, efficiency and power without compromise. Explore the 2018 Toyota RAV4 Hybrid at your local Edmonton Toyota Dealer – Gateway Toyota. 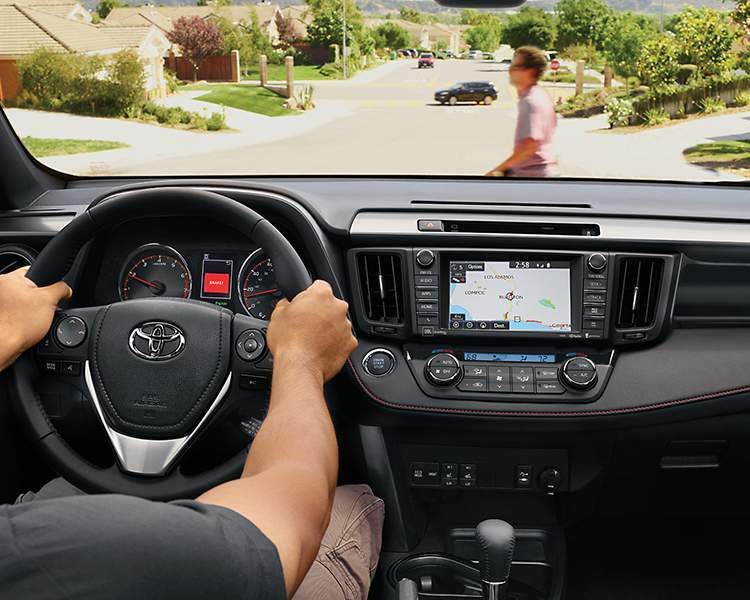 With a wide variety of vehicles to choose from, Gateway Toyota is here to help you get behind the wheel of your dream vehicle today!